Turmeric, an orange-colored spice, comes from the root of the Curcuma longa plant. It was regularly used throughout history as a condiment and healing remedy. 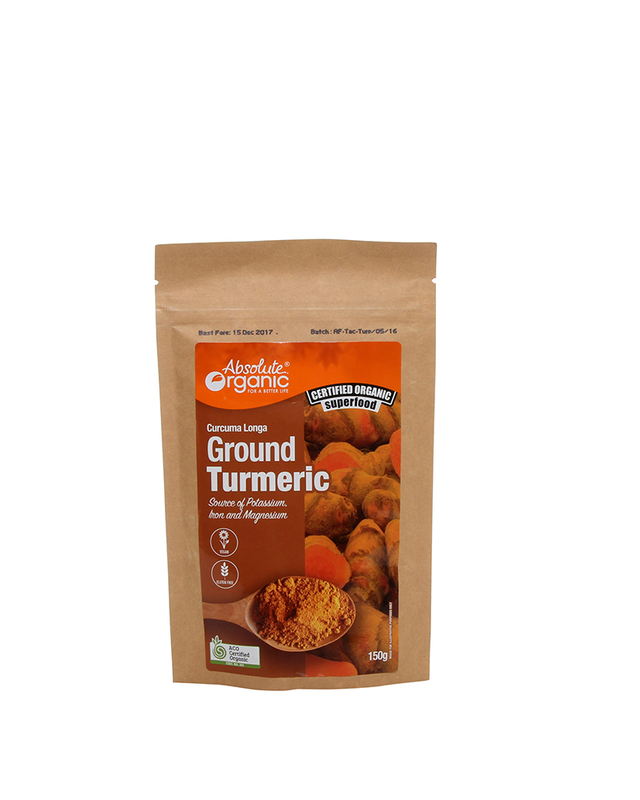 Absolute Organic Turmeric Powder is not only healthy and delicious, it is also 100% certified organic, all-natural and contains a good source of potassium, iron and magnesium. Use it as a tea or just sprinkle it on your favourite dishes to add flavour and colour.